Off Highway Sensor Sales for STW, a premier provider for mobile automation, connectivity and electrification solutions more than doubled in 2018 with the growing recognition that STW sensors are uniquely accurate, reliable and durable. NORCROSS, Ga. - Oct. 16, 2018 - PRLog -- Off Highway Sensor Sales for STW, a premier provider for mobile automation, connectivity and electrification solutions more than doubled in 2018 with the growing recognition that STW sensors are uniquely accurate, reliable and durable. The Off-Highway sensor market demands high performance in adverse conditions. STW's sensors are highly regarded in the mobile off highway industry for their rigorous testing, high quality German engineering and unmatched flexibility. Some of the most highly rated products from STW's line of off highway sensors are the pressure cells/elements, the OEM pressure transmitter M01-CAN and the T01 temperature sensor. STW's pressure cells are designed for harsh ambient conditions and are known for their reliability. These sputtered thin film measuring elements have already been road tested in the European market and are being brought to the US to offer a complete solution for OEM needs with the benefits of STW's unique thin film technology. 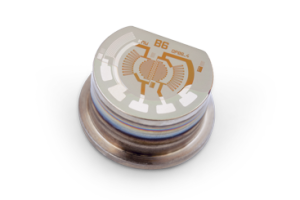 The OEM and OPTI pressure measurement cells are stainless steel sensors. They are typically welded onto a stainless steel adaptor of the customer's choosing. The electrical connection is realized via bonding (the OPTI version) or soldering (the OEM version). The sensor can also be delivered pre-welded onto an adaptor. The OEM and OPTI measurement cells cover a temperature range of -40…+200°C / (-40…+392°F). The OEM pressure transmitter, MO1-CAN with E1-approval and CAN-bus connectivity has been especially designed for applications in mobile machines. The EMC characteristics as well as the shock and vibration resistance are selected especially for this area of applications. This facilitates applications in challenging ambient conditions, such as in the field of mobile hydraulics. The M01-CAN is available in two different Versions. For pressure ranges of 0 … 0.25 bar there is a silicon sensing element, and for pressure ranges of 0 … 1,000 bar (up to 2,000 bar for common-rail applications) a welded thin film pressure cell is used. Depending on the sensing element, the max. permitted media temperature is 150 ºC / 302 °F and the ambient temperature is max. 125 ºC / 257 °F. An optional damping unit can be integrated into the media access. Similarly, the temperature sensor T01 has an E1-approval and is manufactured according to ISO/TS 16949 certification using the latest manufacturing methods. The excellent price/performance ratio makes this pressure transmitter especially interesting for series production. OEM versions can also be supplied. The T01 is the only configurable CAN j1939 temperature sensor for the mobile off highway market. With the new configurator tool, customers will be able to easily configure sensor parameters such as source address, transmission rate and data scaling. About STW: STW (https://www.stw-technic.com/) is an award-winning, world class provider of mobile electronics and associated software for automation, digitalization and electrification of off highway vehicles, offering a full spectrum of solutions to a wide range of industries such as mining, construction, agriculture, material handling, transportation, military and oil and gas. STW solutions have attained a leading role in these industries due to their rigorous testing, high quality German engineering and unmatched flexibility. All of STW's products are mobile off-highway rated.